LAKEWOOD – As part of the annual Veterans’ Day holiday, the Lakewood branch of the Ocean County Library is planning a special exhibit this November to honor local veterans. An exhibit will be displayed in the library’s meeting room for the entire month in remembrance of the hard work and sacrifices made by area veterans. It will feature photographs and biographies of local men and women who have served in any branch of the US military. The library is seeking the assistance of any veterans or their family members. To participate, the library will be asking for a photograph of the veteran (either current or from their days in the service), as well as a brief biography. The biography may include an overview of their time served, why they chose to serve, how their time in the military impacted them, etc. Any photographs lent by individuals will be returned when the exhibit is over. Individuals who would like to participate but do not want to lend a photograph should contact the library to discuss how to get involved. To participate or get more information, please contact Jeanne Murray, Outreach Librarian, at 732-363-1435 or via email at jmurray@theoceancountylibrary.org. MANCHESTER – Peter Lo Bello will give a presentation about the history and future of the Lakewood’s Strand Theatre at the Manchester library branch 2 p.m. Saturday April 5. He is the Director of Development for the Strand and serves on the institution’s Board of Directors. Located in the heart of Ocean County, the Strand is known as an historical landmark. It is also one of the best acoustical theatres in the country. It opened in 1922 in downtown Lakewood, which at the time was a popular resort town frequented by notables like Grover Cleveland and John D. Rockefeller. Within a week of its opening a pre-Broadway run of “The Devine Cook” starring then-popular actress Florence Reed was staged there. Tickets for upcoming events at the Strand will be given away at this program. TOMS RIVER – Kati Beddow Brower and the Lil’ Swing Band will bring their Golden Age of Swing to the Lakewood library branch, 301 Lexington Ave., 2 p.m. Saturday April 5. The program, “Jazz & Blues Queens: A Tribute to Great Women Singers,” will showcase Brower’s range as she belts out ballads made popular by Ma Rainey, Alberta Hunter, Ida Cox, Bessie Smith, Nina Simone, Ella Fitzgerald, Dinah Washington, Peggy Lee and others. TOMS RIVER – Ocean County Library’s Lakewood branch, 301 Lexington Ave., will host a seven-session class to prepare people who want to take the test for US citizenship. Anyone with questions about whether their individual circumstances would qualify should call Richard Potter at the library (732) 363-1435 ext. 2117. The class will be held on Mondays: January 6, 13, 20, 27 & February 3, 10, 24 at 6:30 p.m. at the branch. It is free of charge. Registration is required because of the limited class size. Registration begins December 3. For more information or to register, please contact Richard Potter, Senior Librarian, at (732) 363-1435 or rpotter@theoceancountylibrary.org . LAKEWOOD – 165 educators, school administrators, parents, students and community members attended a special bilingual presentation of “Gang Wise” at Lakewood Middle School. The program was sponsored by the Lakewood Branch of the Ocean County Library and the Lakewood Middle School Parent Teacher Organization. Lt. Edwin Torres, a 23-year veteran of law Enforcement in New Jersey, retired police Lieutenant and Juvenile Justice and Gang Expert, reviewed gang history, gang markings, the impact of gangs in schools and popular culture, general warning signs of gang affiliation and the reasons kids join gangs. 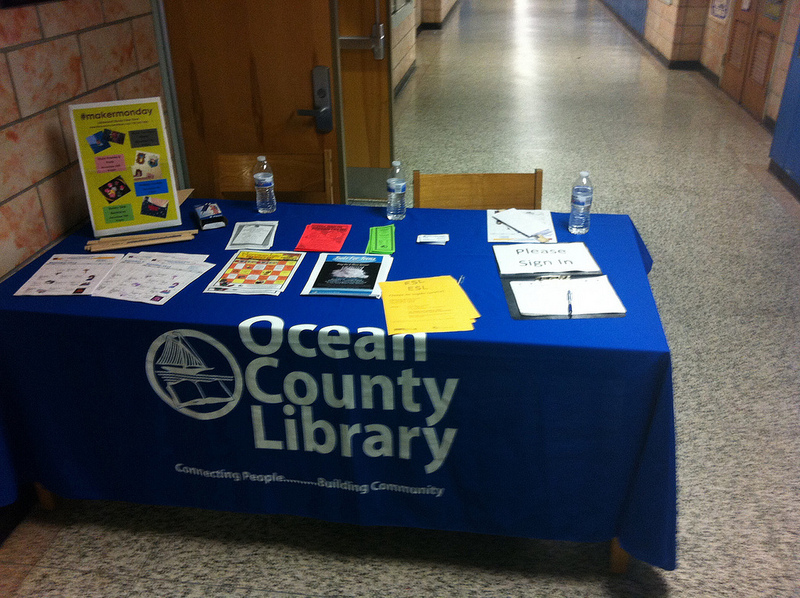 Since 2006, Torres has been a partner of the Ocean County Library Tools for Teens programming initiative. While he has presented countless times at Ocean County Library branches, this presentation was one of the first attempts at bringing a Tools for Teens program to a school. The attendance and response from the Lakewood community proved that gang education is something that educators, parents, and students still have a need for. In addition to their Collaboration with the New Jersey State Parole Board, who teach G.R.E.A.T. (Gang Resistance Education and Training), Lakewood Middle School looks forward to expanding their gang awareness efforts even more after hearing the all too real repercussions of gang activity amongst children as young as 9 years old. This presentation will focus on the effects of heroin on the body, how to tell if someone is using and what the legal ramifications are if you caught using or dealing. Professional development certificates will be provided. Gang Wise and other Tools for Teens programs are funded through a collaboration between various community organizations including the Ocean County Board of Chosen Freeholders, Youth Service Commission, Health Department, Probation-Juvenile Supervision, the Municipal Alliance Project, and the NJ Governors Council on Alcoholism & Drug Abuse. 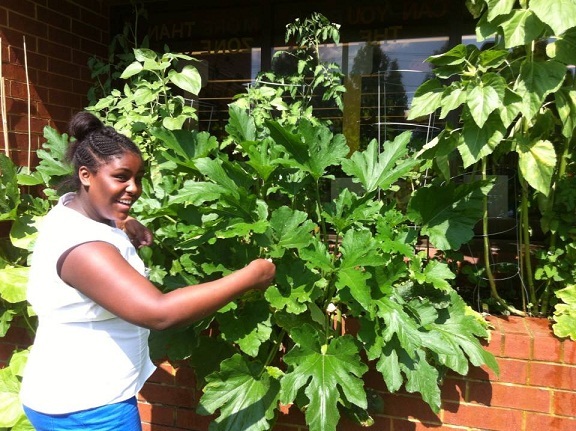 Teen volunteers at the Lakewood branch have been hard at work planting and maintaining the library’s vegetable garden. 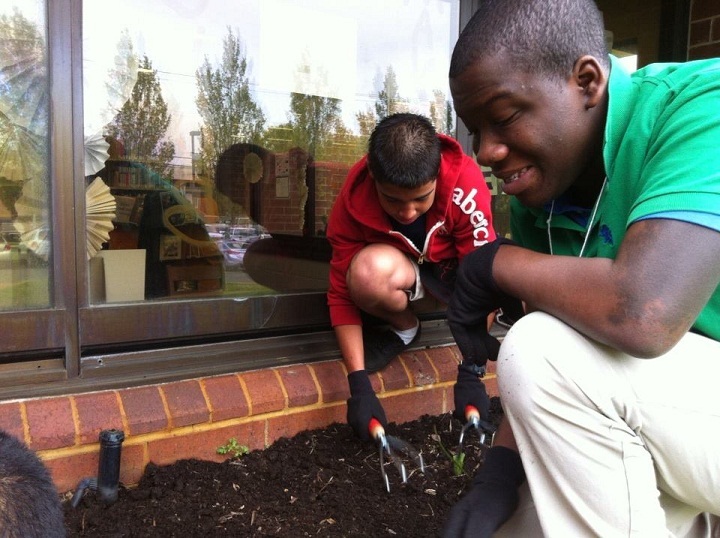 In April, students from teacher Kathleen Anen’s Lakewood High School special education class cleared out a flower bed in front of the Teen Zone during their weekly visits to the library. They planted sunflower, zucchini, watermelon, string bean, and pumpkin seeds. 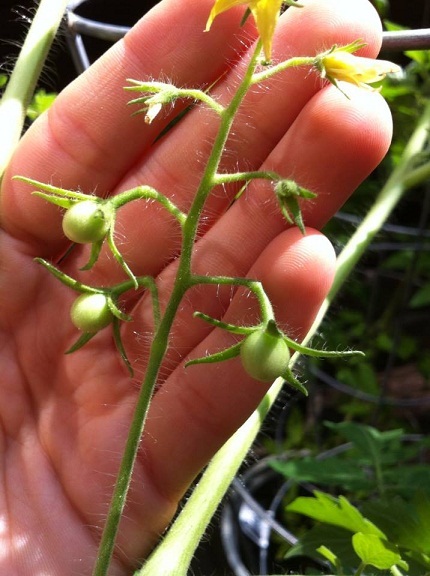 In May, after-school volunteers from the Lakewood Middle School and the high school planted 15 tomato and pepper plants that were donated by Lakewood branch’s Principal Librarian Eleanor Marquis. 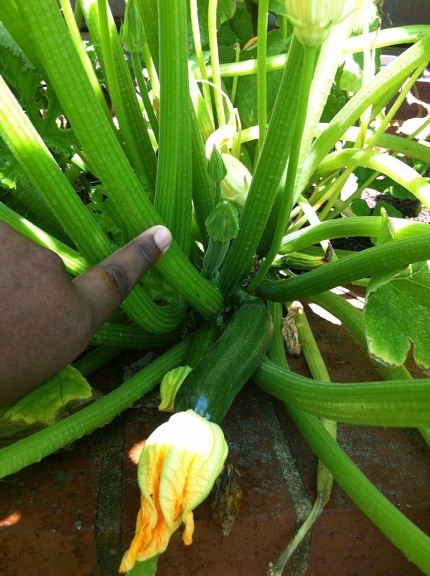 Over the past couple of months, SAIL volunteers have taken over the watering and weeding of the garden and are now enjoying the harvest of their fresh vegetables! Lakewood Teen Services staff and volunteers are already looking forward to expanding the project in 2014. TOMS RIVER – Three branches of the Ocean County Library will present “The Gangwise Project: What our Community Needs to Know” during May. 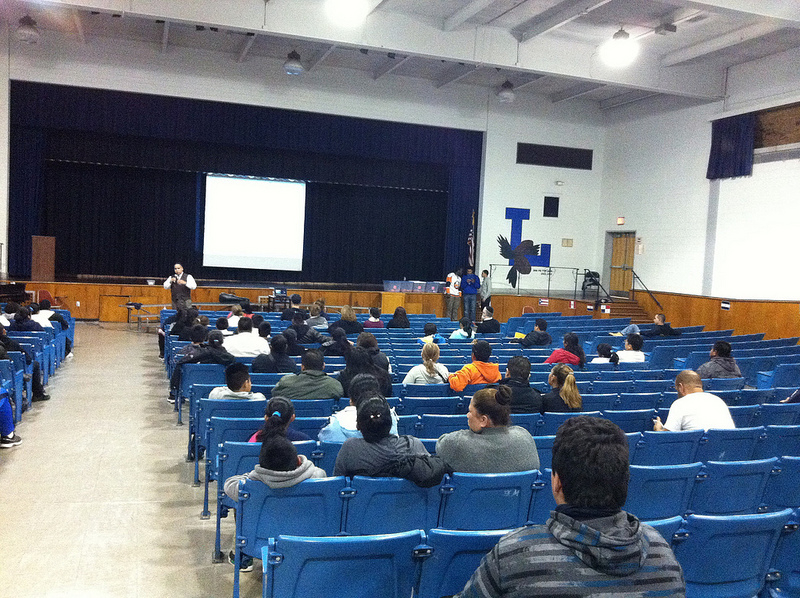 Torres will give advice to parents and teens about avoiding gangs and reporting on local gang activity. He will also tell where parents can go for help if they know their child is involved with a gang. May 20 at the Lakewood branch, 301 Lexington Av., (732) 363-1435. The program is suitable for teens, ages 12 and up, their parents, and other interested adults such as educators, clergy and people who work with youth. Professional Development Certificates will be provided. The programs are free and light refreshments will be served. Registration is required. Telephone the branch or go to the library’s Web site www.theoceancountylibrary.org . The programs are funded through a community collaboration of the OC Board of Chosen Freeholders; OC Youth Service Commission; OC Health Department; NJ Superior Court; the Ocean County Library; the Municipal Alliance Project, and the NJ Governor’s Council on Alcoholism and Drug Abuse.